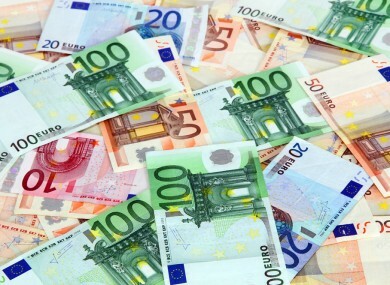 Some consultants for the firm are charging a standard rate of almost €300 per hour to wind down the bank. IBRC IS NEVER out of the headlines at present with the ongoing Siteserv controversy just one of many stories that has the watching public enthralled. But, as it happens, even the act of liquidating the bank is costing the Irish state a lot of money. Responding to a parliamentary question from Renua leader Lucinda Creighton, Minister for Finance Michael Noonan has outlined the rates of pay KPMG are charging to wind up the bank. “These rates are based on NAMA negotiated rates for the relevant services. These rates were put in place following a competitive tender conducted by NAMA,” Noonan said in response to Creighton’s question. The total cost of the liquidation in terms of fees stood at €112 million in June 2014, the last time a progress update was released by KPMG to minister Noonan. This figure was net of a €7 million rebate agreed by the accountancy firm with the Ministry of Finance at that time. IBRC has been in special liquidation since February 2013, when the Dáil famously sat throughout the night before passing a bill to wind the bank up immediately. Email “KPMG are charging a lot of money to liquidate IBRC...”. Feedback on “KPMG are charging a lot of money to liquidate IBRC...”.